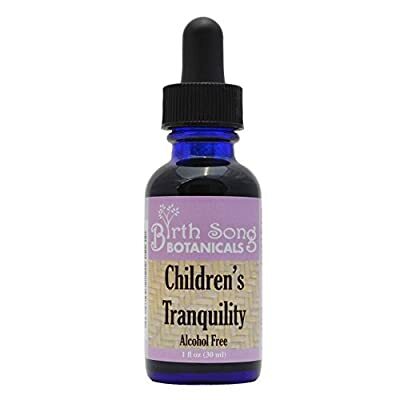 Birth Song Botanicals Natural Children's Tranquility Liquid with Chamomile. Gluten free, Vegan - 1 oz. Product prices and availability are accurate as of 2019-02-27 00:21:13 EST and are subject to change. Any price and availability information displayed on http://www.amazon.com/ at the time of purchase will apply to the purchase of this product. 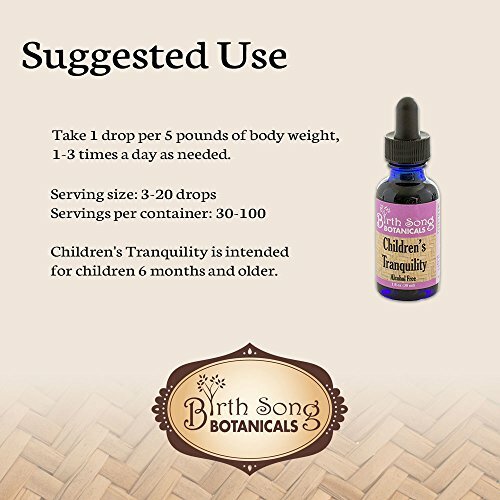 Birth Song Botanicals Natural Children's Tranquility Tincture gives your child a quiet, comfortable night's sleep. 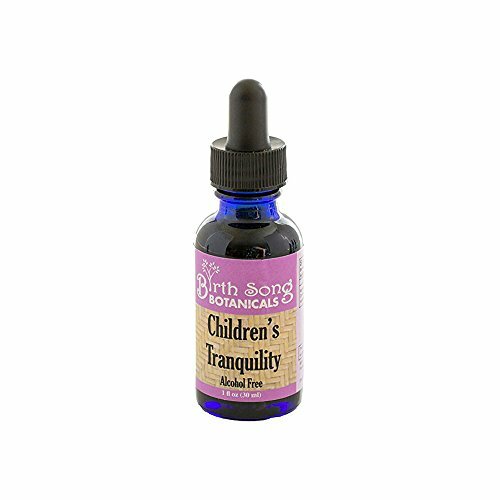 Children's Tranquility is blended with relaxing chamomile and catnip. Children's Tranquility is a wonderfully relaxing safe and gentle treatment for your child who is experiencing discomfort and feeling warm. Chamomile is high in calcium and is well-known for easing growing pains and toothaches. Formula comes from a proprietary blend of natural ingredients. See images and bullets for more information. Contains NO milk, dairy, soy, egg, fish, shellfish, tree nuts, peanuts, wheat or melatonin. Sugar free. Gluten free. Alcohol free. SERVING SIZE: Take 1 drop per 5 pounds of body weight, 1-3 times a day as needed. Suitable for babies, toddlers and even adults. 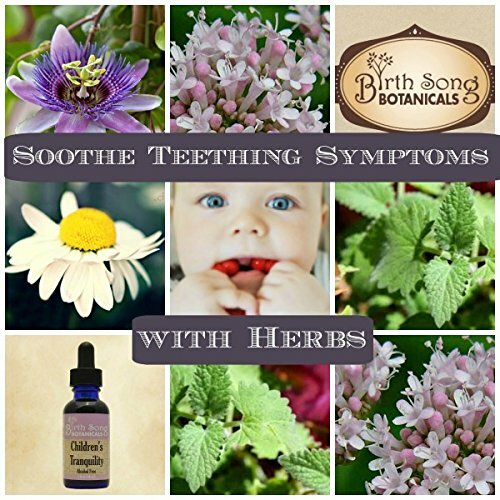 *Our herbal tinctures are saturated with medicinally active compounds extracted from the highest quality herbs. These liquids leave our facility potent, filtered and free of particulate matter. In a short period of time, it is natural to see precipitation or an accumulation of these active compounds on the dropper or in the liquid. This is a natural occurrence and a good sign of a potent liquid. Simply shake well and include this part of the supplement when taking a dose and expediting your path to health.